And here's a flickr set from another coworker. Published on April 1, 2008 at 10:06AM. We did this a couple of months ago to a buddy in the office. 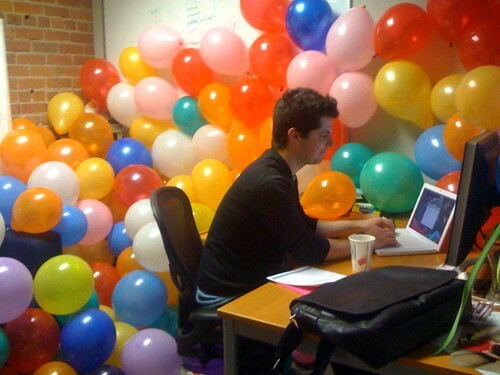 We were bigger jerks though and hid items inside of those oversized punching balloons so he'd have to find them.